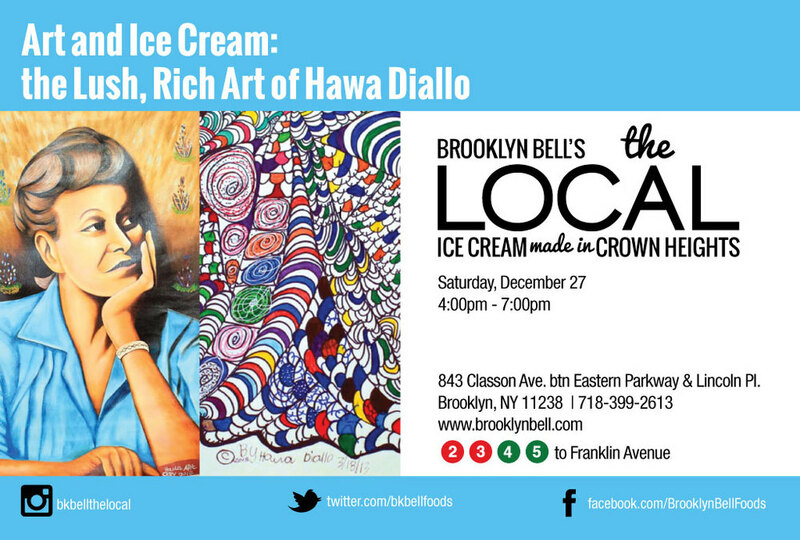 We are happy to host Art and Ice Cream: the Lush, Rich Art of Hawa Diallo. The event will by Saturday, December 27 from 4:00 pm to 7:00 pm at Brooklyn Bell’s the Local at 843 Classon Ave. Brooklyn. For more information please view the invitation here.